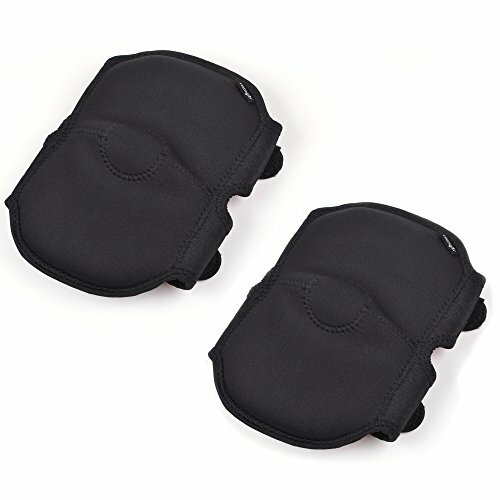 Package include 1 pair knee pad; One size. Main material is quality neoprene and anti-shock foam. Pad Size (L x W) : 9" x 5-1/2"
Adjustable double velcro strap fit knee circumference from 13-1/2 inch to 19-1/2 inch. If you have any questions about this product by Cosmos, contact us by completing and submitting the form below. If you are looking for a specif part number, please include it with your message. Fantastic Helper Kids Gardening gloves, Latex Coated (3 pairs), ages 6-12, Boys and Girls. 90-Day Free Exchanges and No Hassle Returns!